Publisher: G. P. Putnam's Sons/Putnam, New York, New York, U.S.A. 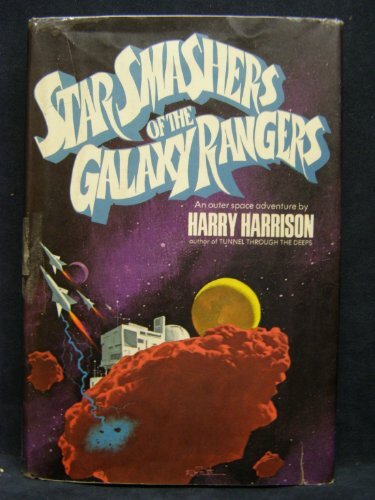 The wild, galaxy-hopping adventures of brash young scientists Jerry Courtenay and Chuck van Chider are at the core of this classic space opera. When the two college students develop a faster-than-light space drive in their homemade workshed, they decide to sneak it aboard their football team's airplane as a prank. The boyish plan backfires, however, and the boys find themselves, along with their crush Sally and the seemingly loveable school caretaker, Old John, hurtling through the solar system towards Titan&#x2014;an icy moon of Saturn inhabited by hideous ice creatures. Titan and the 20th century are only square one as the foursome becomes embroiled in a vast, intergalactic, century-jumping battle.